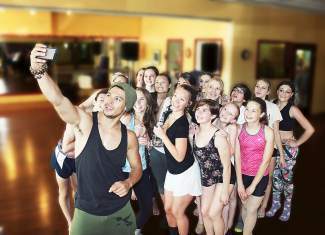 Chehon Wespi-Tschopp snaps a selfie at InnerRhythms Dance Centre after teaching two master classes. Chehon Wespi-Tschopp (just call him “key-on”), the Season 9 winner of the hit TV series “So You Think You Can Dance,” taught two master classes to aspiring dancers at InnerRhythms Dance Centre in Truckee. 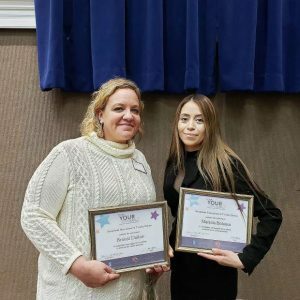 Truckee High School student Kassidy Commendatore is credited for bringing the dance phenom to Truckee with persistent communication and sponsorship gathering. 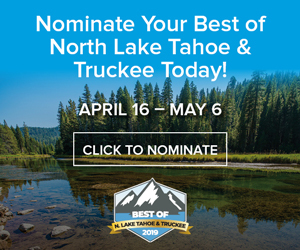 Looking forward to her sophomore year at Truckee High, the straight-A student saw a town filled with world-class winter and team sport athletes. She also saw another dedicated community of athletes — dancers. InnerRhythms Dance Centre and its various performance companies have been Kassidy’s second family for more than a decade. Kassidy was naturally drawn to “So You Think You Can Dance.” She can tell you who won what year without hesitation — citing the best dances, choreographers and the silliest judge’s comments. She admits her idea to bring a top-level dancer to teach at InnerRhythms was a long shot. Kassidy took it upon herself to line up sponsors, securing necessary funds necessary through businesses to cover the appearance fees and expenses. Scheduling conflicts eventually made it impossible for Nico to commit. She was put into contact with Nico’s agent, who offered the opportunity to have Chehon Wespi-Tschopp, the champion from season 9, take Nico’s place. Run entirely by the classically-trained Chehon, the May 31 classes were physically intense and artistically challenging. While his class for those under 12 was a combination of fun and exposure to the world of professional dance, when the older dancers came in it was all business. The classes with Chehon Wespi-Tschopp were two of the continuing InnerRhythms Master Class Series, intended to expose dancers to the highest level of dance education possible. InnerRhythms is a California 501(c)3 non-profit organization dedicated to inspire and motivate area youth through the performing arts, with nearly 200 students currently studying at its Donner Pass Road location. For more information visit InnerRhythms.org or call 530-550-8464.